Virus Barrier Plus is an antivirus utility that protects Mac users from viruses, Trojan horses and other types of malware that affect Macs. VirusBarrier Plus also detects Windows malware, so Mac users don't pass on infected files to their Windows-using friends and colleagues. VirusBarrier Plus is the best-selling antivirus and anti-malware tool based on the award-winning technology of Intego's VirusBarrier X6. 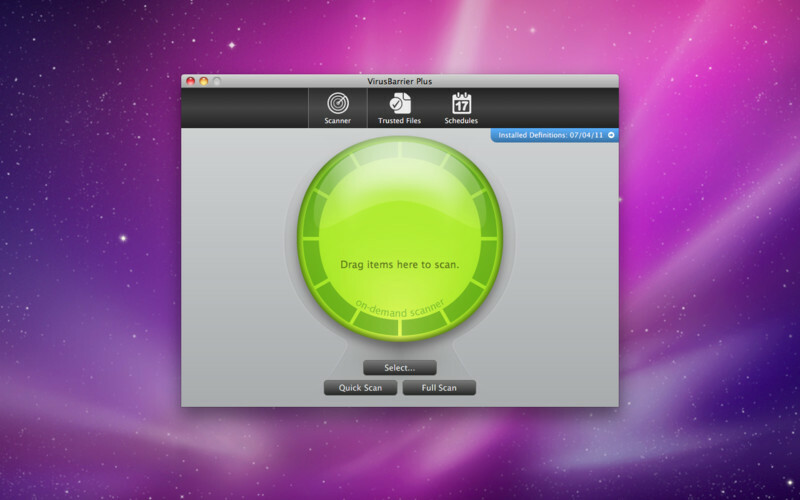 VirusBarrier Plus lets users run manual scans of any file, folder or volume on their Mac for which they have rights, and offers scheduled scans that can be run on any item. Users can also repair any infected files for which they have rights, and a command-line tool, available as part of VirusBarrier Plus, allows administrative users to scan and repair all files on their Mac.